With a heritage dating back over 100 years, Converse is now one of the most recognized brands globally with its iconic All-Star logo. After making its name in the basketball arena thanks to the legendary player Charles H. "Chuck" Taylor, the brand was re-launched in 2010 to cement its status as a hero of casual fashion. On downtime days there aren&apos;t many better footwear options to wear with joggers than Converse trainers. Both low and high top styles work well, but as the Converse outfit above demonstrates you should choose a tapered jogger for maximum effect. 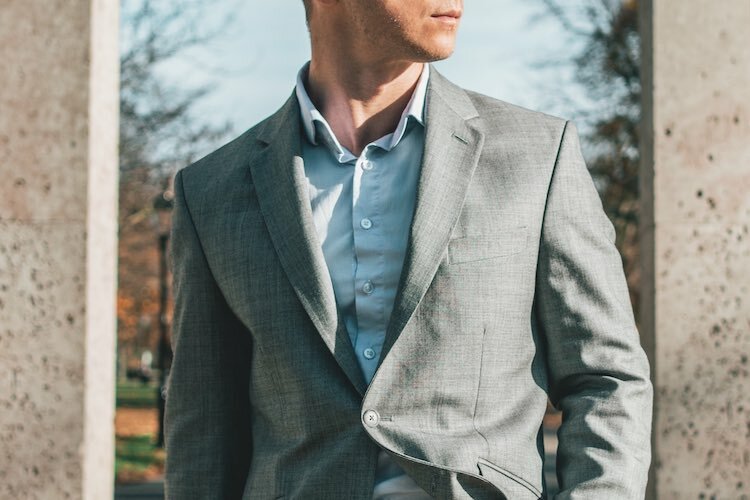 Keep the rest of the outfit simple with a plain black or white t-shirt (preferably in a slim fit for a tailored silhouette) and layer with a bomber jacket when the temperature drops. Converse trainers with shorts is a great look for the summer as the light canvas construction of the shoes means you can easily wear them without socks. Look to chino shorts for smart-casual outfit options, while denim shorts worn with Converse and a longline tee will keep your street style game on point. High top Converse will be the best option with shorts if you do plan on wearing socks; just make sure you opt for white sports socks like the last outfit showcased below. Wearing jeans with Converse is a hard look to get wrong if you opt for slim or skinny fit styles. Generally the skinnier cut the better, as unlike other trainers Converse have a slim profile so won&apos;t make your feet look bulky. Checkout the outfit ideas below to see how to wear both low and high top Converse with jeans. The best way to wear skinny jeans with low top Converse is to opt for an ankle grazer style or to roll up the hems like the outfits shown here. Spotless white Converse look great with both mid and dark blue denim, while black should be your colour of choice with light denim. Complete the look with a plain t-shirt and add an overcoat for a stylish streetwear outfit. If you wear Converse high tops with skinny jeans the bottom of the hem should meet the top of the boots (with no ankle showing). High tops work particularly well for double denim outfits – just match the Converse to the colour of your jeans and add a contrasting denim shirt or jacket. Alternatively, inject some attitude into your outfit by pairing high top Converse trainers with black skinny jeans and a leather biker jacket. 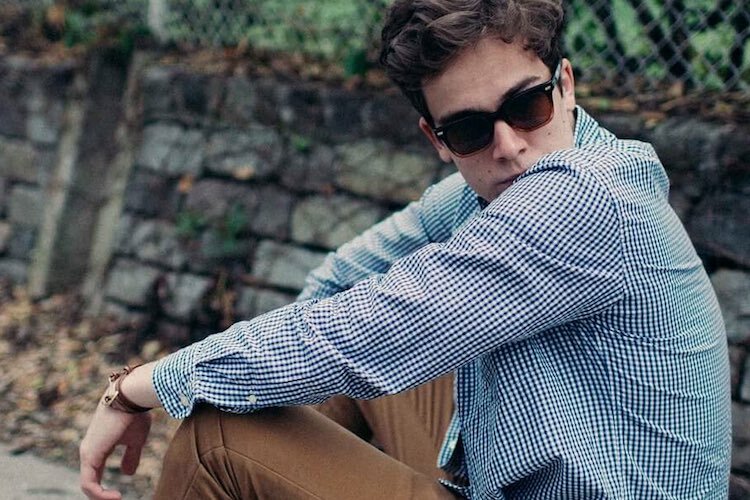 Add a pair of classic Wayfarers to complete the look. Apart from with suits, the smartest way to wear Converse for guys is with chinos. Although they&apos;re not quite smart enough for work, they are perfect for date night outfits and city breaks alike. Keep it smart with pristine white or black Converse, then add a pair of slim fit chinos, a light coloured shirt and tailored blazer. For a more casual look, swap the shirt for a crew neck jumper or grandad collar tee. Swapping your Oxfords for a pair of Converse trainers is the perfect way to dress down a suit in the warmer months. The outfit above shows just how well it works, with mid-blue Converse teamed up with a royal blue suit and complementary blue accessories. Low and high top Converse can work equally well, although if you opt for low top styles make sure you roll up the cuffs of your suit trousers so there&apos;s a slither of ankle on show. Checkout the outfits below for further inspiration and styling ideas! Compared to both black and white styles, red Converse will narrow down your wardrobe options considerably as they do inject a colour hit into any outfit, which means they&apos;re not great for smarter occasions. However, if you&apos;re looking to add to your existing collection, a pair of red Converse trainers won&apos;t disappoint. Wear yours with blue denim or chino shorts and keep the rest of the outfit monochromatic so the attention stays firmly on the Converse. Blue Converse trainers will add less of a colour hit to your outfits so are generally easier to pull off. They&apos;re great for downtime days and look particularly good with camo outfits as well as distressed denim. Choose lighter blue Converse if your outfits are usually at the more casual end of the spectrum, while navy styles are best worn with smarter chinos and tailored trousers. Style Converse trainers with tapered joggers for easy outfits on downtime days and complete the look with a plain tee. 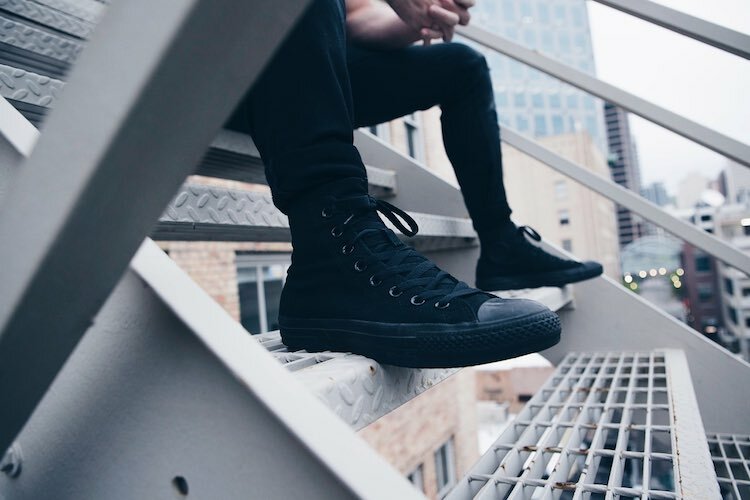 During summer, Converse are the perfect alternative to leather trainers. Wear with denim shorts for a casual outfit or with chino shorts for a smarter ensemble. Skinny jeans are the best denim fit to wear with Converse trainers due to the low profile of the shoes. Roll up the hems if you&apos;re wearing low tops to so there&apos;s some ankle on show. For smarter occasions, swap your jeans for chinos and wear with pristine white Converse trainers plus a shirt and blazer. Converse are great for dressing down a suit during spring and summer. Opt for plain white trainers or a similar colour hue to that of the suit. Red Converse trainers are harder to pull off but are great if you want a boost of colour in your outfits. Wear with blue, black, white and grey clothing for sartorial success. Make sure you checkout our guide on how to clean Converse to keep them looking box fresh all season long!